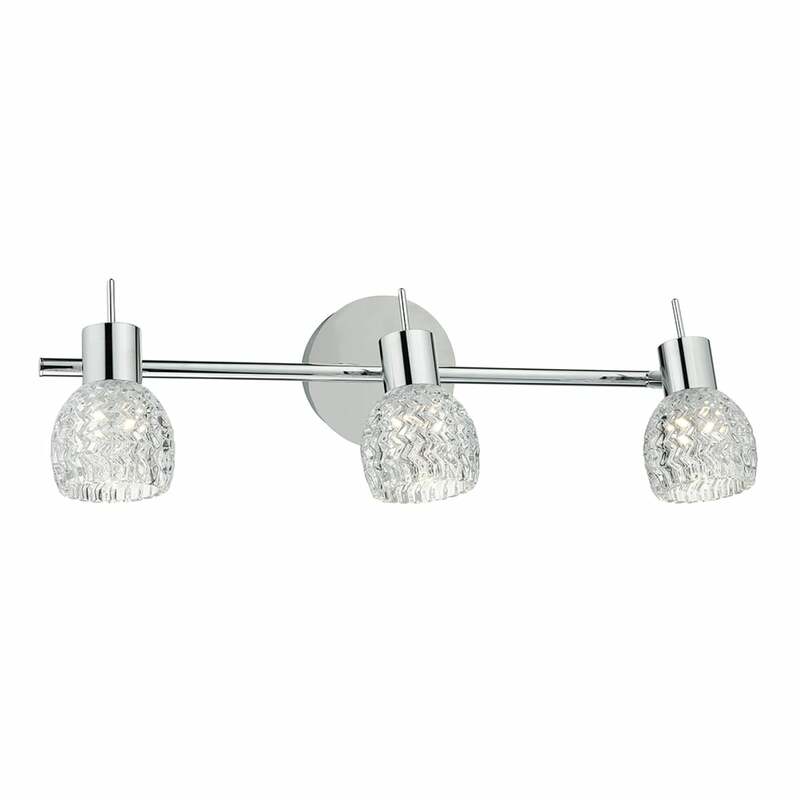 Dar Lighting Anika 3 light wall fitting features a circular design back plate with slim bar and a trio of adjustable lamp heads, all in polished chrome finish, holding 3 dome shaped cut glass style shade. Can be wall or ceiling mounted. This product code is ANI3050. The Anika range includes a matching single light wall fitting, to complete the look, which can be viewed on our website.